From left: 2017-18 recipient Justin Shaw, Taina Figueroa, and son of Dr. Kharen Fulton, Jamal Fulton . Established in 2016, the Kharen Fulton Diversity Graduate Award annually recognizes a graduate student who demonstrates an unwavering commitment to diversity and inclusion in her/his/their academic community. 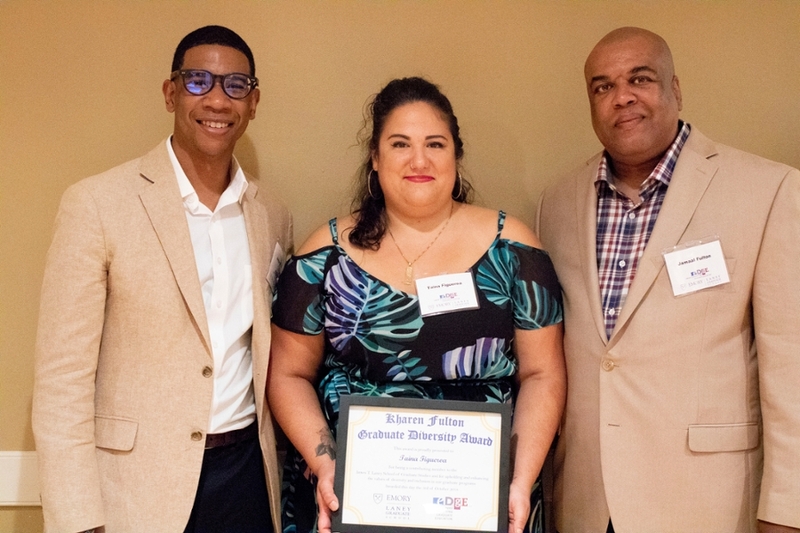 This year, the Laney Graduate School presented the award during its annual LGS Diversity Reception to Taina Figueroa, a doctoral student in Philosophy.